Get ready for lights, camera and action as Summit Media Entertainment celebrates Birmingham heroes with national reach and influence during the FUSION Awards on Friday, April 22 at the BJCC arena at 6 p.m.
“We are celebrating passionate innovators, creators and leaders who’ve done so much to spark major change for Birmingham and beyond,’’ said Summit Media Entertainment President Chuck Faush. While most of the nominees are adults, two nominees are Birmingham City Schools’ students. They are Phillips Academy seventh grader Jaeden Henderson and Carver High School senior Sady Fofana. 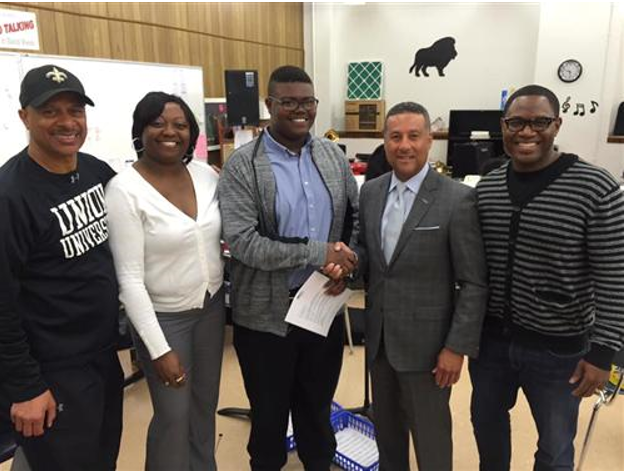 Jaeden, a pre-AP student with a 3.0 GPA and his first single in the works, will join Grammy-nominated songwriter Alvin Garrett in performing at the awards show. Garrett’s “By Myself” single is the No. 1 requested record for the Summit Media Entertainment radio stations in Birmingham. Fofana’s 3-D animation production was one of 10 selected to be highlighted in an international competition in Hungary. While there were shorts submitted by several countries, Fofana’s animation was the only video selected from the Western Hemisphere. 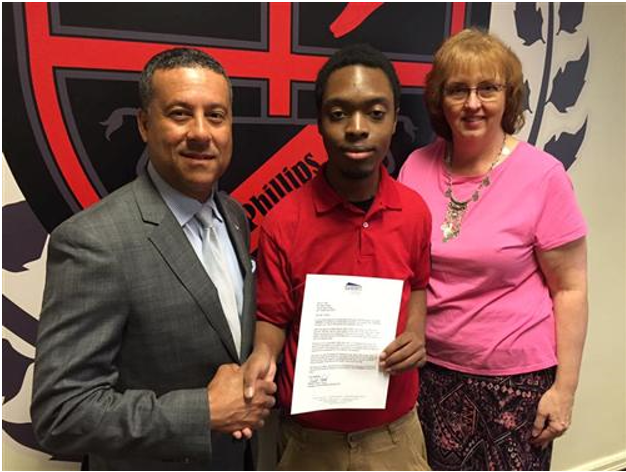 In 2015, Fofana won the Statesman Award through Skills USA Career Tech. He is also president of the Skills USA Career Tech at Carver High School. Several performers are scheduled to appear, including the Carver High School’s choir. The event will kick off on April 22 with free workshops centered around branding, marketing, leadership, networking and more. Doors for the workshops will open at 4 p.m. Sessions, led by area and national business leaders, will be held from 4:30 to 5:45 p.m. in the BJCC Arena Club. The sessions, which will also include guest star appearances, are free. Want to know how to advance in a male-dominated field, entrepreneurship, community leadership and creative personal pursuits? Check out the Fearlessly Forward panel discussion on April 22 with Kathleen Hamrick, director of the UAB iLab at Innovation Depot; Natalie Bolling, a financial institutions litigator and employment lawyer with Baker, Donelson, Bearman, Caldwell & Berkowitz; and moderator Javacia Harris Bowser of See Jane Write. Other workshops will include Regions’ session on identity theft; Coca Cola’s session on branding and diversity; Corbitt Chandler, vice president of marketing for IronTribe, and Just a Few Cats’ front man Alvin Garrett discussing how drive, dedication and determination led to their success; and how to expand one’s marketing, social media and public relations footprint with insight from Esther Franklin of Starcom MediaVest Group. There will also be a business speed networking event with industry experts. Then at 6 p.m. in the BJCC arena, entrepreneurs, professionals and others will be recognized during a ticketed dinner. The 6 p.m. awards ceremony is sold out. For more information, visit www.fusionbham.com.